Gherkins. Who doesn`t like them? You can use them in a salat, as a salat, in main dishres, for a quick meal… We offer you one fresh bite of ours. 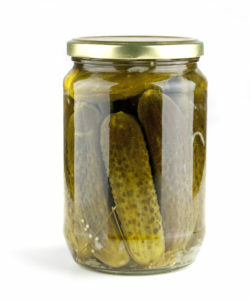 Content: gherkins, dill, salt, mustard, pepper, sugar, allspice, water, vinegar, onion. Choose the size of the glass jar – 580, 720 and 1680 grams. We can produce with ours` or your specifications. With our brand or your private label. This site is owned by EU Foods Ltd.